Cloud hosting services provide hosting for websites on virtual servers. These servers pull their computing resources from an extensive underlying network of physical web servers. On principle, cloud hosting can be compared to traditional utilities like gas and electricity as it follows a utility model of computing where it is available as a service rather than a product. Clients can, therefore, tap into the services as much as they need. This, however, depends on their websites’ demand, but they are only allowed to pay for the resources they use. Cloud hosting exists as an alternative of hosting websites on single servers which can either be shared or dedicated servers. It can also be considered as an extension of the concept of clustered hosting, which requires websites to be hosted on multiple servers. The network of servers used in cloud hosting is vast and comprises of servers pulled from different data centers which are located in various locations. While many in the IT industry agree that cloud hosting is the future of web infrastructure, it has its advantages and disadvantages. 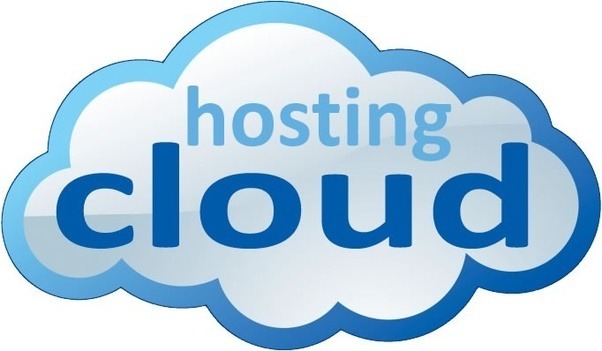 Here are the advantages and disadvantages of cloud hosting. Cloud hosting is best for businesses with changing bandwidth demands. With cloud hosting, you can easily scale up your usage as your needs increase and cut back again when the demand reduces. This level of flexibility can give businesses using cloud hosting a very big advantage over their competitors. Cloud hosting reduces the high costs of owning the infrastructure to host your website. You are only required to pay for the resources you use, and therefore you don’t waste money on unwanted resources. Additionally, its setup and management are very easy. Most cloud hosting providers usually focus on a particular area of expertise, and this means that they can always access the most recent technology in their industry. This allows you to enjoy the latest technologies without even incurring any additional costs. Cloud hosting allows you to benefit from the latest developments in software and hardware, and these are usually managed by a team of experienced engineers. Additionally, cloud hosting service providers ensure that your system is always updated by continuously installing software updates and security patches. With cloud hosting, you can be access almost everything from the internet. Actually, anything with an internet connection is not secured, and even the biggest organizations can suffer severe attacks and security breaches. This is one the worst disadvantages of cloud hosting. No cloud hosting service provider, even the well-known, can avoid this. Cloud hosting relies on a network of servers which entirely depend on the internet to function. This means that if there is any challenge with the internet connections, users will have problems in accessing this service. Cloud servers are usually accessed over the internet, and the speed of your connection to the internet determines the speed of your connection to the server. Access to your own servers is controlled by the cloud hosting service provider. This cannot be a problem so long as you have a reliable and fast internet connection. However, slow internet connections usually lead to low speed, and this can make you become very frustrated with the cloud-hosted server. Cloud hosting is very cost efficient. However, at times it has some hidden costs which come into light when the deal has already been closed. This means that users are forced to dig deeper into their pockets to cater for these expenses. This, in turn, makes the hosting plan more expensive than expected. Hosting your website in the cloud makes everything to run smoothly, and this means that your cloud hosting service providers are very efficient. However, cloud hosting doesn’t mean that your problems will always be solved. At times you can still experience the challenges, you had before adopting the cloud and this can cost your business dearly.